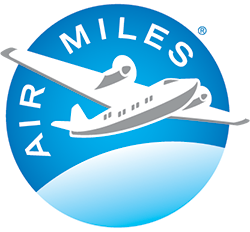 We Are Now An AIR MILES® Promotional Partner! The AIR MILES® Reward Program is Canada’s top loyalty program and we are proud to offer you the opportunity to get AIR MILES® Reward Miles when you sign up for a monthly parking pass. Visit our Halifax and St. John’s locations to learn more about getting your Reward Miles. Not yet a collector? No problem… visit www.airmiles and sign up for free on the spot! Limit one (1) offer per Collector/Client Account. The Reward Miles will be issued to the Collector Account within 30 days of the end of each calendar quarter. Account must be current throughout the quarter to receive Reward MIles. Please visit www.airmiles.ca to see all of the available redeemable options. All Reward Miles offered are subject to the Terms and Conditions of the AIR MILES® Reward Program, are subject to change and may be withdrawn without notice. For complete details, visit airmiles.ca or call the AIR MILES® Customer Care Centre at 1-888-AIR MILES (in Toronto (416) 226-5171). ®™ Trademarks of AIR MILES International Trading B.V. Used under license by Loyalty One, Co. and The Hardman Group Limited.